MELVINDALE, Mich. Oct. 4, 2018 — Automation Alley is an association dedicated to creating connections between industries, academics, and government corporations and companies. As a nonprofit technology and manufacturing business association, Automation Alley intends to further develop Southeast Michigan’s economy and spur innovation by localizing Michigan as a global leader. 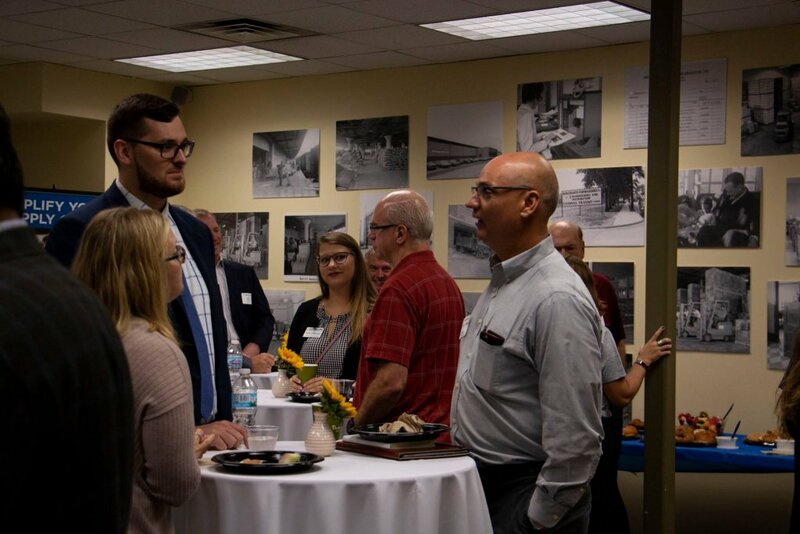 Automation Alley is known for hosting regular “Morning Mingle” events, which are intended to bring together members through networking, and providing resources to help inspire innovation and strategic thinking among associated members. On September 20th, 2018 members from Automation Alley visited Evans Distribution Systems for a Morning Mingle event. The morning included networking, a tour of Evans’ Melvindale warehouse, and an interactive fulfillment activity. The Evans tour included stops at the fulfillment, operations, transportation, and Foreign Trade Zone (FTZ) areas of the warehouse. Tour guides included members of the management and executive teams, who gave talks on the associated sections of the Melvindale location. Automation Alley members learned about how operations function within the warehouse, how the fulfillment area is directed and organized, how the FTZ area of the warehouse is utilized, and the ways that transportation forms an integral part of the Evans operation. 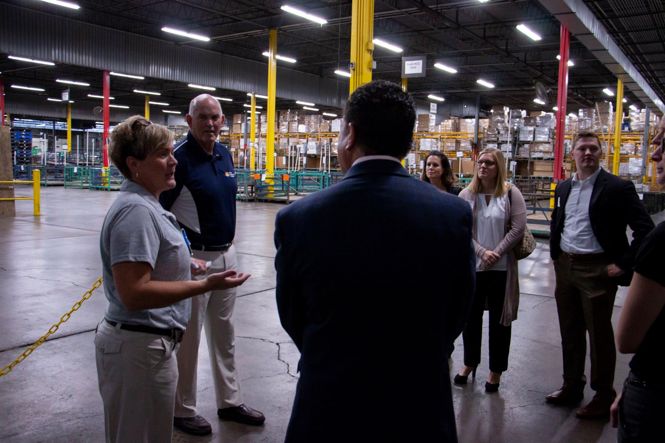 The tour of the Melvindale location included an interactive fulfillment activity, during which members ordered items online from the Evans store, then picked and packed items at a fulfillment station, to be mailed directly to them afterward. This activity was intended to be a direct illustration of how the fulfillment process works. Automation Alley’s mission is “to position Michigan as a global leader in Industry 4.0 by helping our members increase revenue, reduce costs and think strategically during a time of rapid technological change.” Evans’ partnership with Automation Alley allows the company to foster relationships with other industry associates and seek out new and innovative solutions for the future. Evans Distribution Systems, headquartered in southeast Michigan, was founded in 1929 as the Central Detroit Warehouse Company. It has evolved into a full-service, third-party logistics provider offering warehousing, transportation, fulfillment, contract packaging and staffing to the manufacturing, food and beverage, consumer goods, and chemical industries. Evans currently employs more than 600 associates and operates over two million square feet of space in Michigan and across the U.S. Find more information on our website, www.evansdist.com. Read the latest supply chain insights at Evans’ blog, or follow the company on Facebook and Twitter.